MoonWatcherMD (Mun) to let you know that this rather cool retro game, which was originally released as a platformer in a ZX Spectrum style developed by Locomalito. Has finally been released as a Sega Megadrive Port that can be downloaded as a freely available Rom. This version published by Playonretro, was created in collaboration of a team of people such as Locomalito, Gryzor, Mun, Darkhorace, Fran, Dani Nevado, Alfonso, Igor, Gerardo, Manuel Gómez, Manuel Millán, Rubén, Bruce, Stef, José Zanni, David Lara , Leander, Jose Antonio, Borja, Migue, Salva, Ricky and Felipe! As we said before just as in the original version you play as a religious preacher attempting to out run crusaders who disagree with his practice, only to find himself fleeing into a haunted church. 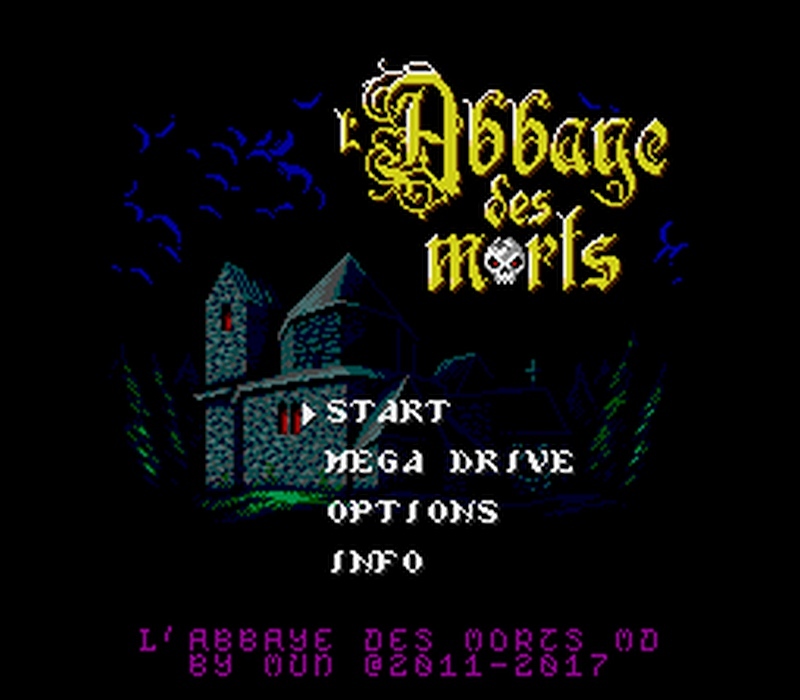 With plenty of rooms to explore and enemies to evade in a Jet Set Willy vibe, Abbaye Des Morts has plenty of gameplay for both retro gaming fans and new gamers a like, that as of now can be played even with a Sega Megadrive emulator!